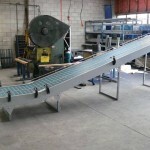 Flat Belt Conveyors can be used in both industrial environments and wash down areas. 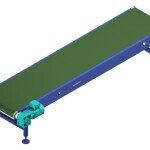 This type of conveyor is also a popular solution for slower moving assembly type applications. 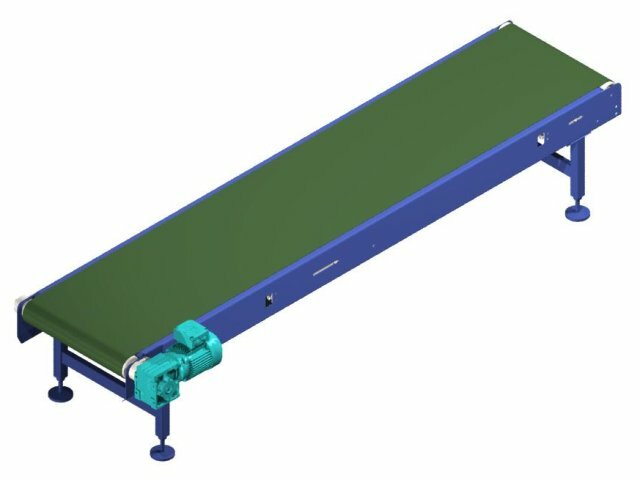 Flat Belt Conveyors are ideally suited to the conveying of smaller, soft or irregularly shaped products. 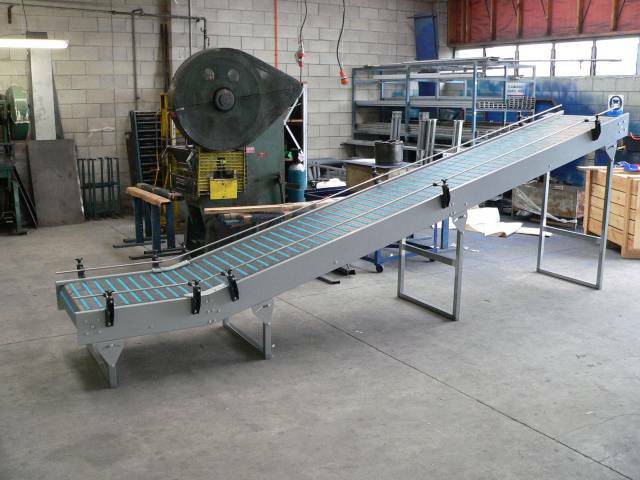 Flat Belt Conveyors provide a smooth and controllable method of transporting product on an incline or decline. Side frames are either stainless steel or powder coated mild steel with many construction options as to how to support and return the belt. Depending on application requirements, other construction features can be incorporated such as centre drives and nose bars. Flat Belt Conveyors generally use flexible material type belts constructed from rubber or PVC materials. 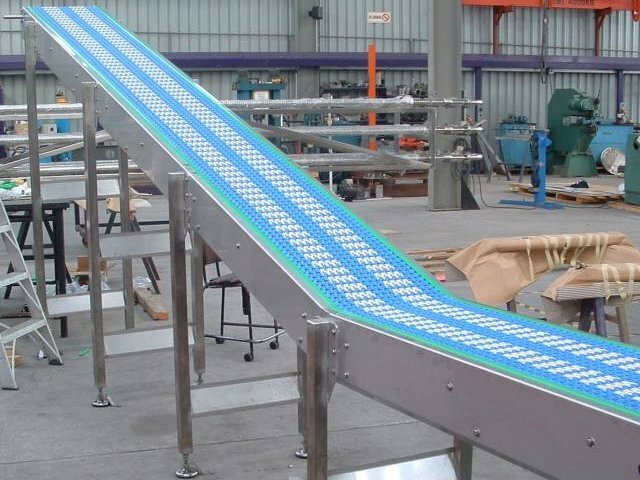 Modular Belt Conveyors are often associated with processing environments where cleanliness and regular washing down of equipment is necessary. This style of conveyor also suits the handling of irregular shaped or soft packaging e.g. bags or envelopes. 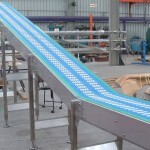 A single length of Modular Belt Conveyor is capable of handling both straight and curved sections in a single run. Modular belts which incorporate friction modules also cater for incline and decline of product loads. Side frames are either stainless steel or powder coated mild steel with many construction options as to how to support and return the Modular Belt.